There's a growing number of people who think ending news reporting on acts of terror will somehow #SilenceTerror. And I could not disagree more with this all-too-convenient answer to a complex issue. Proper news reporting may seem to give credence to terrorist organizations who actively court such media attention, but it will never truly further their cause -- not when reporting often counters and negates the narratives spun by extremist organizations. Amid the shouting of social media, professional reporting offers fact, reason and, most importantly, context. We saw it first on social media, then we saw it on the news. 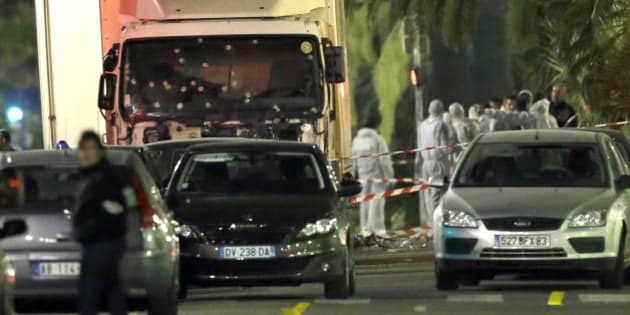 At least 84 people were killed in an apparent terror attack as an assailant in a truck drove at speed into a crowd celebrating Bastille Day in Nice, France. Like many of you, I was sifting through the utter pandemonium of the Internet as the events unfolded, trying to sort out what was happening. Twitter's Moments feature helped sort the social media snippets in a more logical way, but nothing painted a somewhat whole picture until news reports started flooding my newsfeed. As the body count rose, the reports heaped even more misery on my heart, already made heavy by a seemingly unending string of recent tragedies -- Orlando, Dallas, Paris, Baghdad... it is hard to name them all. As I was beginning to get a sense of what had transpired, I saw a tweet from an equally heartbroken user, no doubt trying to get a grip on the circumstances herself: "Publicity is what they want. Stop reporting these attacks." On Facebook, a flood of similarly worded status updates implored news media to stop giving credit for acts of terror. Doing so, they felt, would deny terrorists the publicity they crave and rightly rob them of a platform for their message. There's a growing number of people who think ending news reporting on acts of terror will somehow #SilenceTerror. And I could not disagree more with this all-too-convenient answer to a complex issue. One can certainly argue that terrorism is overreported, with acts of terror down since the 70s even as ISIS looms large in the Middle East. This overreporting can make it seem like the world is a more dangerous place than it actually is. And the fact that you hardly see any widespread coverage of acts of terror that happen outside western countries, though true, is another debate entirely. I understand that these reports on terror attacks, mass shootings and other tragedies can make people feel uncomfortable by bringing tragedy into their otherwise peaceful living room or newsfeed. The fact that this makes us uncomfortable only means we are human. But comfort is irrelevant. Chaos and misinformation are the objectives of terrorists -- and fact and reason are their natural enemies. Social media has democratized publicity, giving terror groups a platform to hone their message and broadcast attacks regardless of whether or not news media give them coverage. Terror organizations can and do effectively leverage these platforms to spread their ideologies and create impetus for future attacks. Left unanswered in the insular world of social media, they are free to create any narrative they please. Unfortunately, with few exceptions, context-free eyewitness accounts and shaky snippets of video shot by smartphones can do about as much to dispel this propaganda as #ThoughtsAndPrayers do to help victims heal. That's why I think anyone using the hashtag #SilenceTerror couldn't have it more backwards. Chaos and misinformation are the objectives of terrorists -- and fact and reason are their natural enemies. Proper news reporting may seem to give credence to terrorist organizations who actively court such media attention, but it will never truly further their cause -- not when reporting often counters and negates the narratives spun by extremist organizations. Amid the shouting of social media, professional reporting offers fact, reason and, most importantly, context. Knowing "why" helps us move on, heal and eventually even fight and destroy the root causes of terror. Context is particularly important, as no act of terror exists in a vacuum. The thing is, knowing why something happened is just as important as the concrete fact of its occurrence. Reporting who is responsible for an act of terror, at times, is a key part of this. Indeed, in doing so news reporting does not give terror a platform -- it holds those responsible to account. Knowing "why" helps us move on, heal and eventually even fight and destroy the root causes of terror (though I understand and share anyone's cynicism about that last part). Without news reporting our understanding of terror, at best, boils down to seemingly random acts of violence, chaos without rhyme or reason -- timelines filled with screams and pain, but without any hope of understanding what it all means. I don't know about you, but that sounds a whole lot more terrifying. Modern mainstream media is far from infallible. However, I argue that the dispelling of ignorance and chaos makes reporting the facts of terror, in most cases, a worthy and intrinsically necessary endeavour. We cannot #SilenceTerrorism -- racism, sexism or any other negative force in this world -- by silencing the conversation surrounding it or by letting its perpetrators shrink into the shadows. What we can do is drown out the noise of terror with fact, reason, context and condemnation by representing its reality.